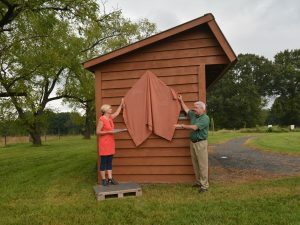 Friends of the Chinqua-Penn Walking Trail hosted an unveiling and dedication ceremony on September 27, 2018 for a new quilt square, which is the newest addition to the Rockingham County Quilt Trail. 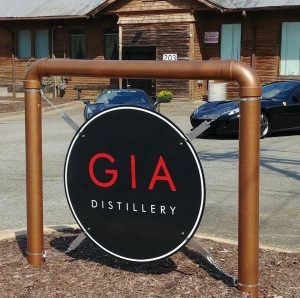 The purpose of the Quilt Trail is to promote tourism by encouraging local residents and visiting tourists to travel around Rockingham County’s beautiful rural landscape and shop the agribusinesses and locally-made products. 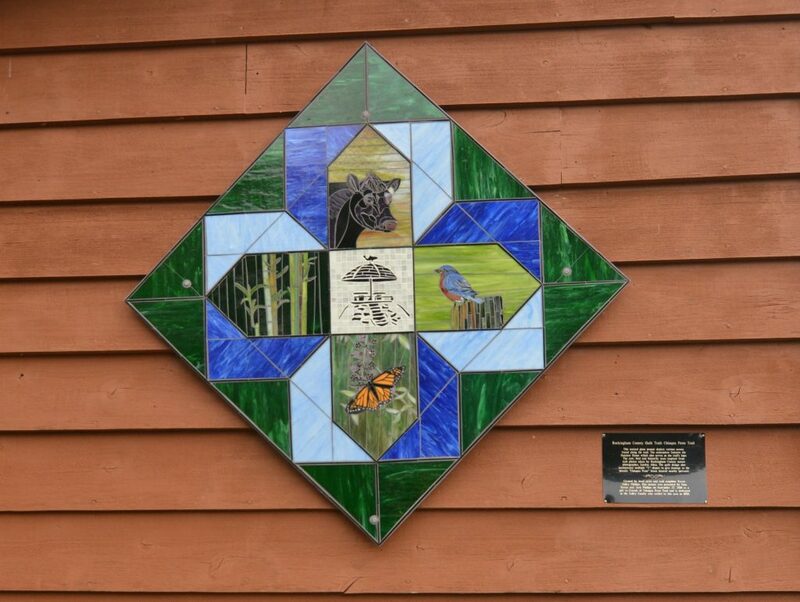 The quilt squares are painted by local artists or created on aluminum 4’ x 4’ squares. 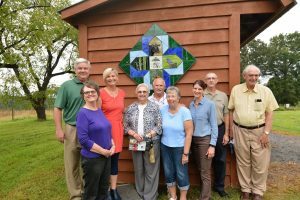 Each square is a celebration of the rich agricultural heritage of Rockingham County. The squares are placed on the sides of barns, buildings and other structures. 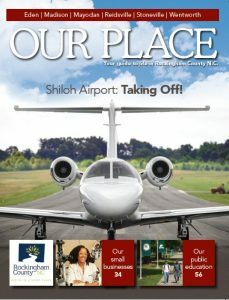 Residents and visitors may view the new quilt square when they visit the Chinqua-Penn Walking Trail. 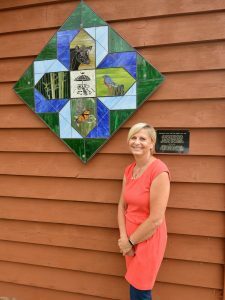 Local artist, Teresa Phillips, created the quilt square out of stained glass in a mosaic design.